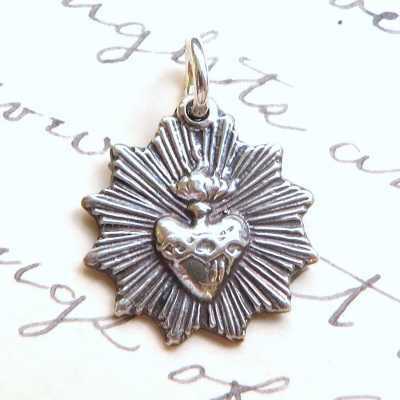 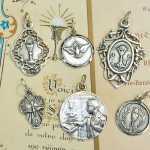 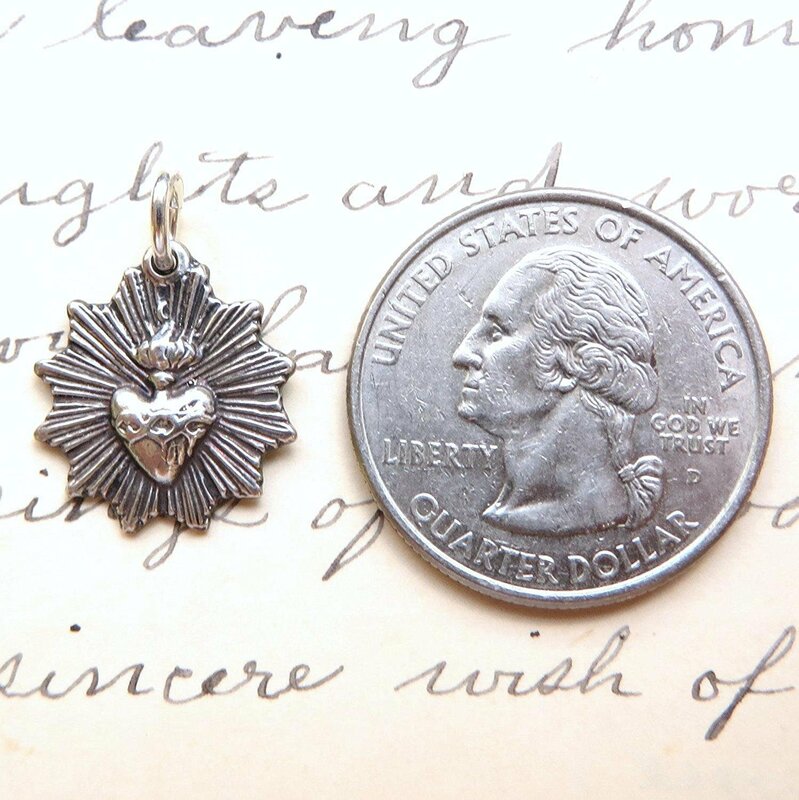 This small medal features the Sacred Heart of Jesus surrounded by a radiant star. 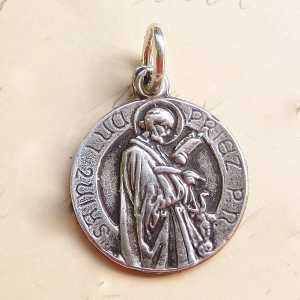 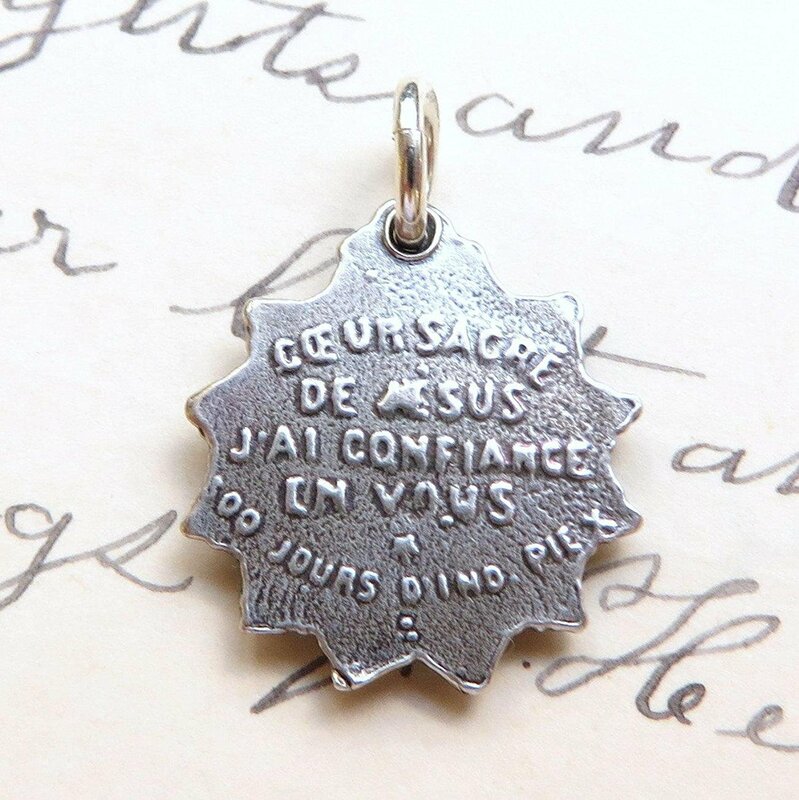 The reverse is in French and says “Sacred Heart of Jesus I Have Confidence in You – 100 Days Indulgence Pius X”. 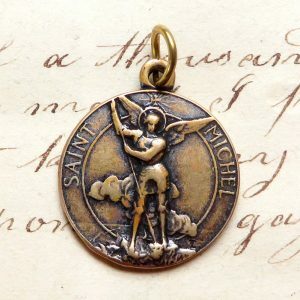 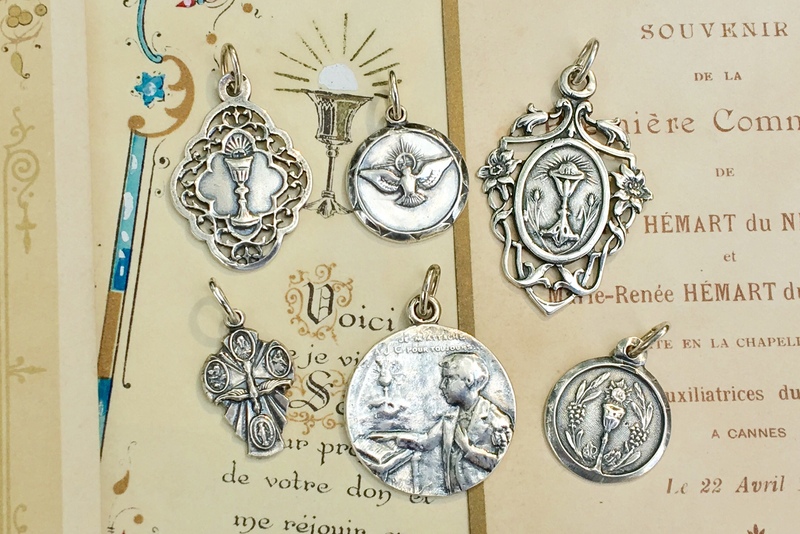 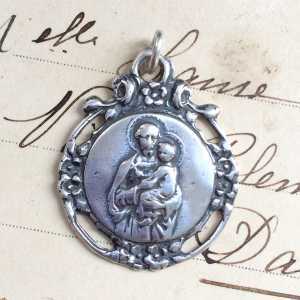 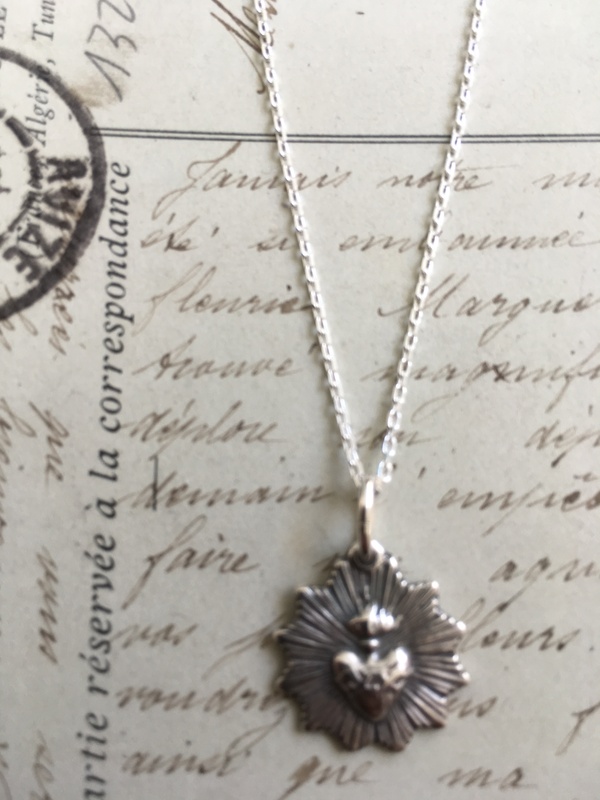 The medal was cast in sterling silver from an antique medal in the Rosa Mystica Collection so it shows all the beauty and history of the original piece. 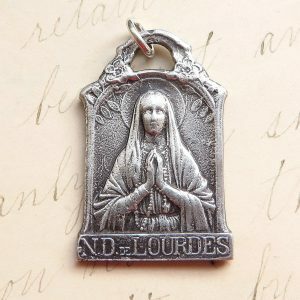 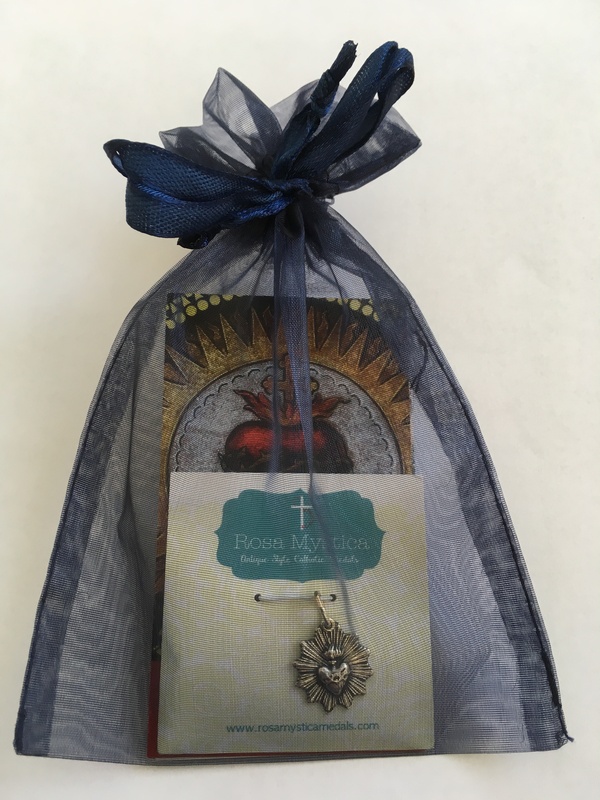 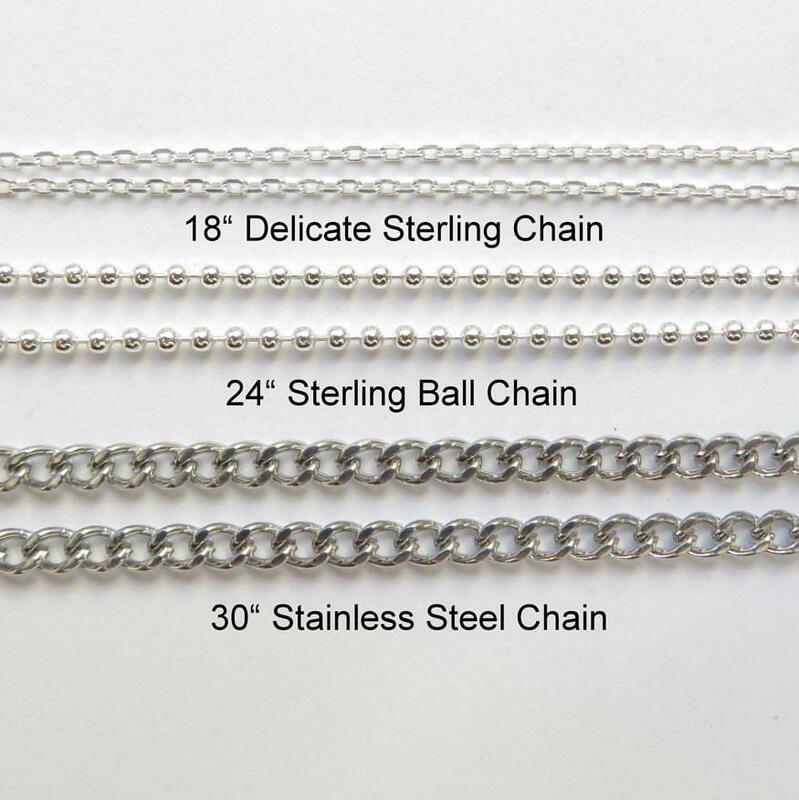 It comes with a matching holy card in an organza gift bag, ready for gift-giving, and was made in the USA.